A country no stranger to frigid weather or heavy metal, Finland gives us a new power metal band, Frozen Land. With a fondness for 90s Finnish power metal (Stratovarius, et al), Frozen Land was developed by guitarist Tuomas Hirvonen. They dropped their single song demo, Loser's Game in 2017, and now return with their debut long player for Massacre Records. We can cut to the chase with this review. 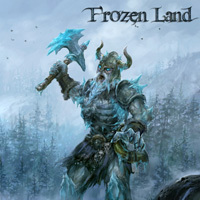 Essentially, Frozen Land makes the legend of Finnish power metal proud. They've got the basic elements refined with twin guitar harmony, ripping solos, a light use of harpsichord-like synths, and a tough and galloping rhythm section, all wrapped up in the glory of groove and melody. Found via YouTube, vocalist Tony Meloni has a strong presence with a bit of a pitched voice, yet has no problem following a melody and keeping pace with speed. And that's basically what you get with their debut. For power metal speed and rocket science listen for Loser's Game, The Rising (synths within), Mask Of Youth, and Delusions Of Grandeur. With The Fall and Unsung Heroes, the rock groove is developed with more deliberation. 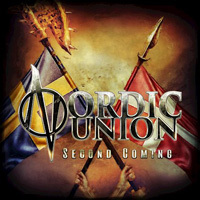 The latter also has some dueling synths and guitars in the last quarter of the tune. A metal anthem comes with I Would with a strong synth/piano line lilting within. The album closes with a cover of E-Type's Angels Crying. Never heard of the artist or song, so this didn't really matter to me. In the end, Frozen Land's debut album delivers the traditional Finnish power metal groove; it's nothing new or novel, but definitely on target. Recommended. Frozen Land's debut album delivers the traditional Finnish power metal groove; it's nothing new or novel, but definitely on target. Recommended.